Madonna is set to go on her first world tour in three years in late 2019 in support of her forthcoming album that, at this time, remains under wraps, with no news of a release date. The 60-year-old singing legend is said to be planning a no-expenses-spared run of shows, which will feature pyrotechnics and her usual army of performers, and she will stun supporters in some amazing outfits. 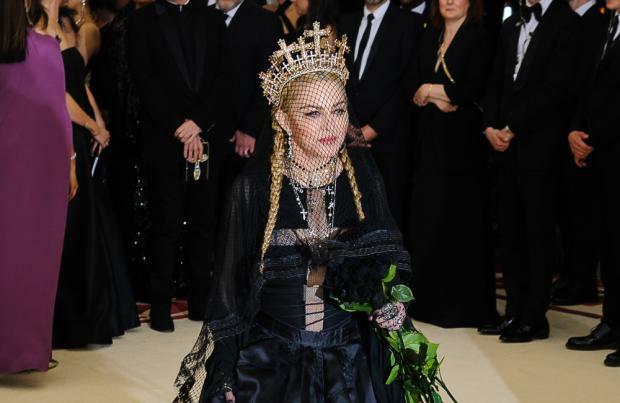 The 'Like a Prayer' hitmaker is planning to drop her 14th album later this year, and fans who snap up a ticket for her tour will also be treated to some of her greatest hits, as well as a collection of her new songs. Last October, Madonna confirmed she was working on her 14th studio album, her first since 2015's Rebel Heart. The album is due for release sometime this year but no release date has been confirmed. Madonna last hit the road on her Rebel Heart Tour, which consisted of 82 dates. Keep checking back for further information about her upcoming world tour and how to get tickets. The queen of pop sets off on another huge world tour. Just don't mention the Brits.